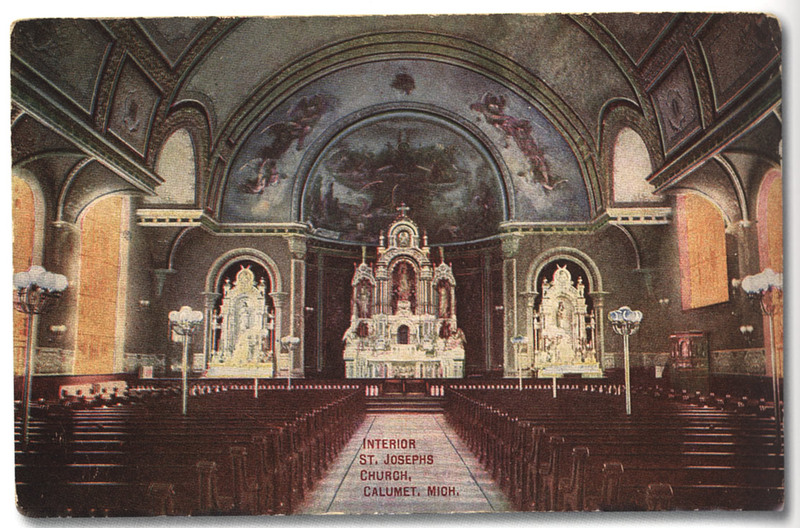 Postcard view of interior of St. Joseph’s. Keweenaw National Historical Park. 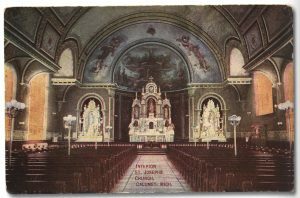 “Dedication of Fine Church a Notable Event,” Calumet News, 29 June 1908.